ESO Supernova Exhibition — How familiar would alien life be? How familiar would alien life be? Life as we know it is based on carbon chemistry and dependent on water. Alien life could be very different. There's no reason whatsoever to assume that extraterrestrial evolution would mimic the development of life on Earth. Ammonia planet: Water is a very common molecule in the Universe, but there's no reason why life couldn't form on a strange world with oceans of liquid ammonia (artist's impression). 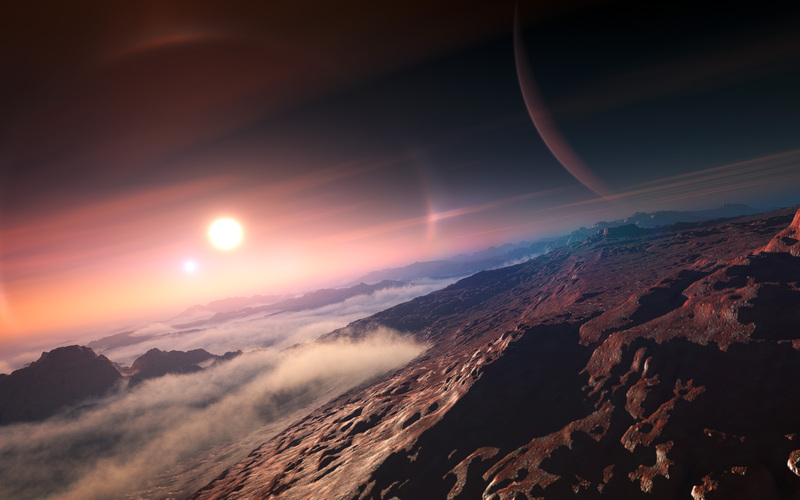 Exoplanet hunters get excited when distant worlds might have oceans of liquid water. Astrobiologists are on the lookout for carbon-bearing organic molecules. Astronomers are listening for radio messages from intelligent aliens. But extraterrestrial life could well be very different from life as we know it. It might be based on silicon chemistry, or liquid ammonia could play the role of water. Moreover, evolution may have taken very different routes. Still, it makes sense to start searching for the kind of life that is familiar to us. After all, we know it does occur in the Universe, and it would be easier to recognise. E.T. phone home: Astronomers use radio telescopes to listen for signs of extraterrestrial civilisations. But would alien life really be comparable to life on Earth? Mirror biology: The existence of left-handed biomolecules – mirror versions of the molecules that terrestrial life is based on – could indicate a possible alien biology. 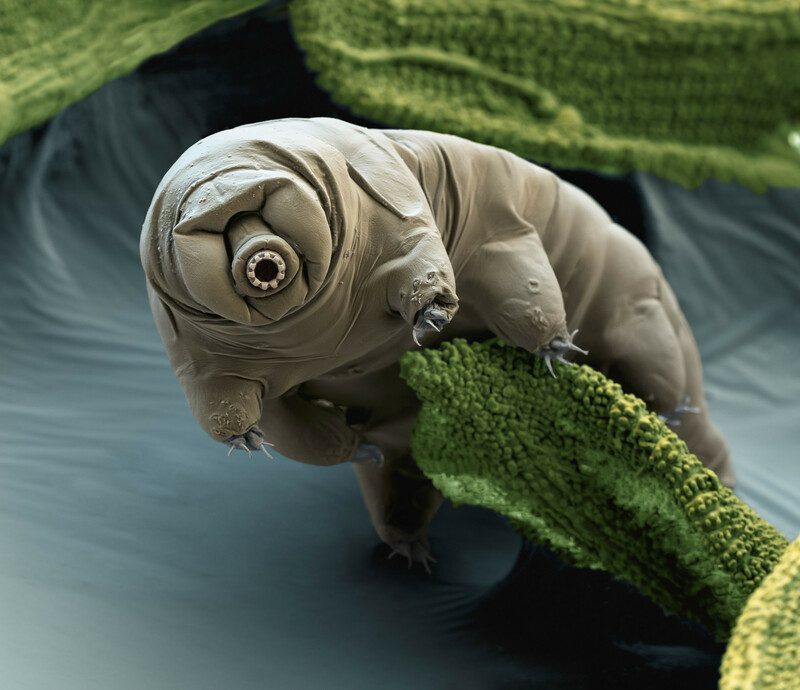 Hardy tardi: Tardigrades are hardy terrestrial organisms, able to survive for lengthy periods in extreme conditions - without water, food or air. Extraterrestrial life might be even stranger. Silicon life: While much less abundant in the Universe, silicon shares many chemical properties with carbon. Might alien planets harbour silicon-based organisms? Have you ever drawn fantasy animals with elephant trunks, eagle wings and pig tails? Who knows, alien creatures might be even weirder than you could possibly imagine.